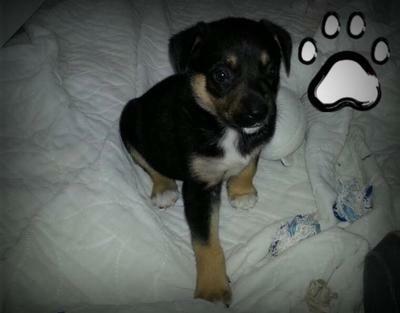 Atlas is a 4-6 week old GSD Mix, He has a stubby tail, I am going rot or australian Shepherd. I am fostering him, My GSD Brennen passed away 2 years ago at the age of 4 it has been hard getting over the loss of my constant companion. So Atlas has filled a huge void. Congratulations on fostering your newest addition, Atlas. Great name btw!! What a cutie pie! But I am so sorry for the earlier loss of your GSD companion, Brennen. I know that is very hard to get over but I am very sure that little Atlas will help you through it so much easier. I wish you both much luck and the best of everything. And if you ever need any help please feel free to browse through all the resources here anytime - there is loads of puppy information.